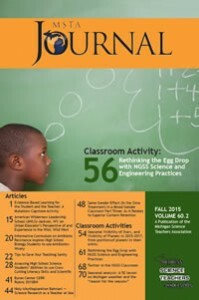 Joshua Ellis and Emily Dare published an article entitled “Rethinking the Egg Drop with NGSS Science and Engineering Practices” in the Fall 2015 issue of the Michigan Science Teachers Association (MSTA) Journal. The STEM education article, which made the journal cover, addresses the application of meaningful math and science concepts to a traditional classroom activity. The Egg Drop is an opportunity for students to learn engineering principles by designing a mechanism to prevent breakage of a dropped egg. The article authors are Joshua Ellis, Assistant Professor of STEM Education and Emily Dare, Assistant Professor of STEM Education, Michigan Technological University, Matthew Voigt, Graduate Student in Math and Science Ed, San Diego State University, Gillian Roehrig, Professor of STEM Education, University of Minnesota. Psychology major Brett Campbell is part of Student Stories, by the Center for Diversity and Inclusion (CDI). 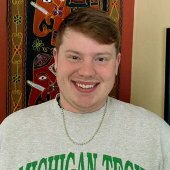 Brett talks about his campus involvement, why he chose Michigan Tech, and how he participates in CDI student organizations. Read more at CDI Student Stories. The Michigan Tech Student Chapter of the Society of Hispanic Professional Engineers (SHPE) will be spreading the word about engineering as a possible STEM career path. 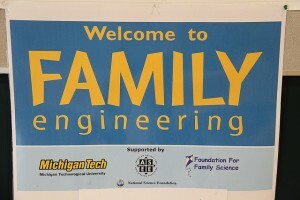 The Tech students will conduct a Family Engineering event Sunday at the Academy of the Americas in Detroit. A free supper for families will be provided from 3:45-4:30 p.m. Families will then attend three 35-minute activities. 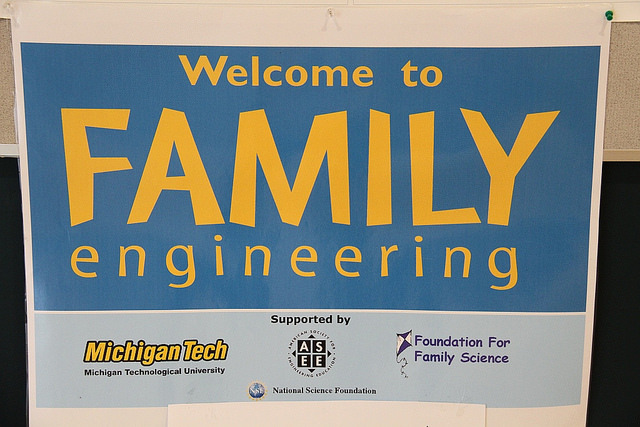 To learn more, visit the Family Engineering webpage or contact Joan Chadde by email or at 7-3341. 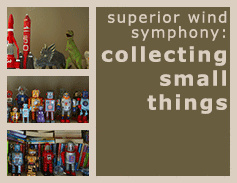 David Schreifels, Psychology, is among the performers for this weekend’s musical event, Collecting Small Things by the Superior Wind Symphony. The event takes place Saturday, November 14, 2015, at the Rozsa Center. You can also LISTEN LIVE online. Joan Chadde has been appointed to the Michigan Urban and Community Forestry Council, an advisory group composed of representatives of municipalities, industry, non-profits and forestry professionals that provide assistance and advice to the state urban and community forestry program administered by the Michigan Department of Natural Resources. Because of her work in urban forest stewardship in Detroit, Chadde was asked to represent the K-12 education perspective. The Council works to advance the conservation and maintenance of urban forests throughout Michigan by ensuring trees and forests where people live, work and play are healthy, sustainable and diverse. The program “Recycling in the UP: A Tale of Two Landfills,” will be held from 7 to 8:30 p.m. Nov. 19 in G002 Hesterberg Hall of the Forestry Building on the Tech campus. There are two Community Outdoor Nature Programs in the month of November. “Leaf and Needle ID: Do You Know What’s Growing in YOUR Backyard,” will be held at 2 p.m Saturday, Nov. 7, 2015, at the Maasto Hiito Trails Chalet in Hancock. Join environmental educator Denise Landsberg on a nature walk to explore the Maasto Hiito trails and the common trees growing in our area. Things to bring: warm clothes and comfortable footwear. A “Sensory Night Hike: Discover Your senses Coming Alive at Night,” will be held at 6 p.m. Nov. 16 at the Nara Nature Center. Explore the Nara trails at night and learn how senses adapt to the dark. Things to bring: warm clothes, comfortable footwear and a flashlight. 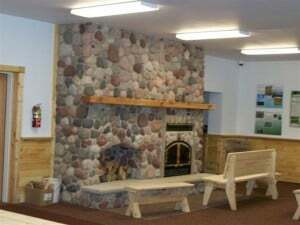 These programs are sponsored by the Michigan Association of Environmental Professionals and coordinated by the Western UP Center for Science and Environmental Outreach. The Center hosts two programs each month. For more information contact the Center at 7-3341. 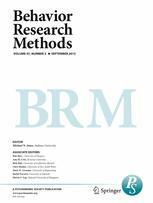 Sarah Tan and Shane Mueller (CLS) published “Adapting Cultural Mixture Modeling for Continuous Measures of Knowledge and Memory Fluency” in the journal Behavior Research Methods.